In a Huffington Post Gay Voices piece today, Campus Pride Executive Director Shane Windmeyer has issued a cease and desist on behalf of Chick-fil-A. According to Shane, following several meetings with Chick-fil-A President, Dan Cathy and an invite to be his personal guest to the Chick-fil-A Bowl, Shane has issued an all-clear. This is not the first time Shane has attempted to allay the fears of the LGBT community surrounding Chick-fil-A. In September of last year, he formally suspended his organization’s boycott of the company, which seemed to some as though the entire LGBT community was doing the same. Following an interview on HuffPost Live in which Think Progress LGBT’s Zack Ford and I discussed these topics with Shane, I thought it important to follow-up. One of the important discoveries of Shane’s piece is that he’s been allowed access to top-secret internal Chick-fil-A documents and has seen their tax forms which prove Chick-fil-A is no longer giving to the “most divisive” anti-gay groups such as Focus on the Family or Exodus International – both of whom have been linked to Uganda’s infamous “Kill the Gays” bill. But that’s hard to comment on since Cathy only showed it to Shane personally. There are an enormous number of questions which arise and it’s important that we ask them before chomping into a greasy, fatty homophobe sandwich. Some were asked during the interview above, but were never answered and others are now being asked around the interwebs. Why would Dan Cathy choose to share these secret internal documents with only Shane instead of clearing his name and his organization’s reputation by sending them to a reporter? There could be several reasons for this. 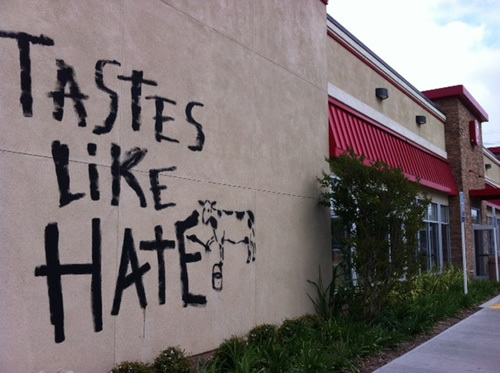 If the story is leaked to the mainstream media and it’s true, some of Chick-fil-A’s gay hating base might get real mad. Or perhaps the only reason they stopped giving to a few of the anti-gay groups was to earn Shane’s stamp of approval and thus earn Shane as an advocate to all those college campuses wanting to open new Chick-fil-As. Either way, Chick-fil-A is STILL contributing to anti-gay groups. Why would Dan Cathy choose to pursue only Shane Windmeyer and Campus Prid instead of larger, farther reaching LGBT orgs such as HRC, The Task Force or GLAAD? Is it that Cathy found solace in the fact that Shane seemed like a nice guy or is it that Shane is the one with access to Cathy opening more lucrative restaurants on college campuses? Finally, Shane’s piece, though ultimately about his budding friendship with Cathy, has led to media claims that Chick-fil-A has ceased funding to anti-gay groups. Though Shane blames the media for not reading into his own fine print that it was just the “most divisive” groups, he has managed to provide cover for a virulently anti-gay company and it’s virulently anti-gay President. I hate conspiracy theories, truly I do, but there’s quite clearly something not kosher here – and I’m not talking about the soggy pickle in a Chick-fil-A sandwich. I like Shane and I think Campus Progress does incredibly important work. I would just hate to see that reputation at all sullied by lifting up those who steadfastly stand in opposition to equality. Dan Cathy may very well have found a friend in the LGBT community – as many homophobes have stated “Some of my best friends are gay…” But the harm his contributions have made cannot be cast aside simply because he invited a gay guy to a football game. USA Today talks about little old us. About a month ago, Sean’s organization got a phone call from a reporter at USA Today. They were looking for someone who had a gay family member and due to that, changed their mind on marriage equality. Immediately, their communications director passed the phone off to Sean as the perfect candidate. We sat down with Chuck Raasch, Sean and Sean’s mom Barbara over coffee a few days later. A week or so after that, they called and asked to send a photographer to our house to take photos of the three of us cooking dinner together (something that has never really happened in real life). We obliged realizing it would help make a good narrative for the story. 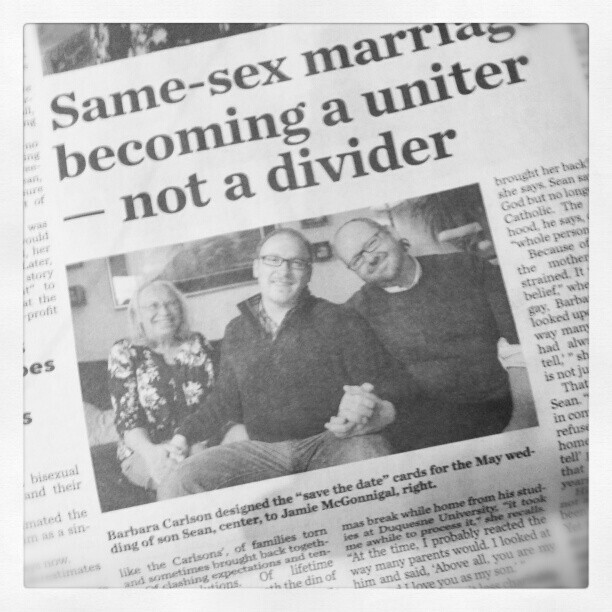 Flash forward and this morning, the story appeared on page 2 of USA Today. We have since set a date and will be happily getting married on May 18th in Provincetown, MA! Check out the story here. Thanks to Chuck and photographer Toby Jornin for telling our story so effectively that it might continue to change some minds. 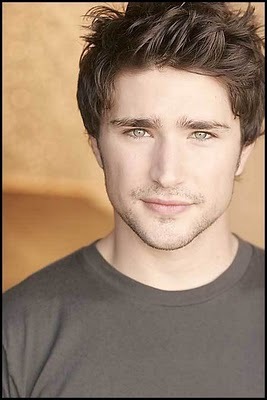 It seems from a quiet New Year’s tweet, that not only has the handsome boy without a navel from ABC’s KyleXY, actor Matt Dallas is engaged! Coming out quietly with a simple act seems to be the newest and might I add classiest way for Hollywood actors to let their fans know who they are. Last year White Collar and Magic Mike star Matt Bomer came out while thanking his partner and three little boys in an award thank you speech and Big Bang Theory’s Jim Parsons quietly did so in a brief statement at the end of a NY Times interview about an upcoming broadway play he was starring in. While I’m sure the tabloid coming out articles and People magazine cover stories are far from over, its nice to see some of Hollywood is catching on to this new (and far more classy) trend. 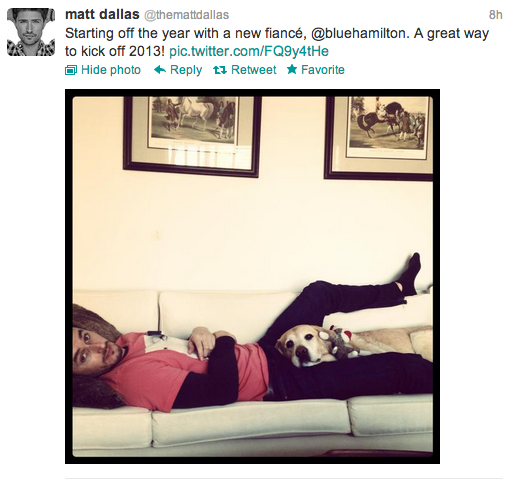 Congrats to Matt and his new fiancé, LA musician James Hamilton, who followed up with his own adorable retweet this morning!